As we all know the corner shop can be the cornerstone of the community and actually makes an area more desirable when people are researching where to live. 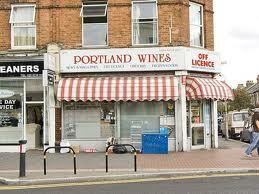 Anyone who lives near Portland Wines know how fantastic Shanka is, and the service he offers the local community. Currently he has a petition going as the council have turned down his request for an oyster card machine, please go and sign, as I’m certain it will add to the convenience of the local area. He’s such a nice bloke I couldn’t resist putting out a request on the website!